Landing at Enugu airport, before proceeding to Abakaliki, capital of Ebonyi State, by chopper, was the first breath of fresh air. 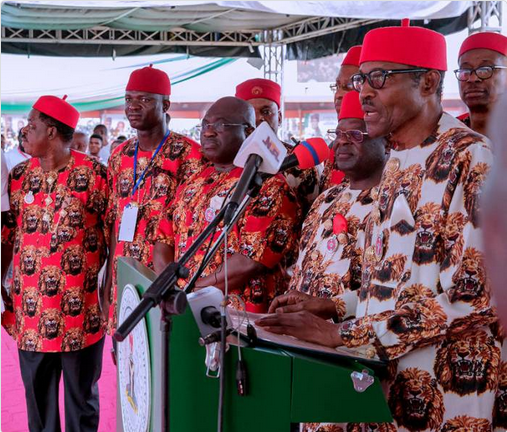 The airport was gaily decorated, with banners, billboards and posters of the President and Governor Ifeanyi Ugwuanyi of Enugu State, who was also on hand to receive the President. He is also of the PDP, but a wise man from the East. You don’t play the politics that shuts you out of the national grid, lest you get sentenced to perpetual half current, or no current at all. The reception at Enugu airport, and, indeed, in all the places we visited, Abakaliki and Awka, would make you relish and savour the aroma of brotherhood and national cohesion.